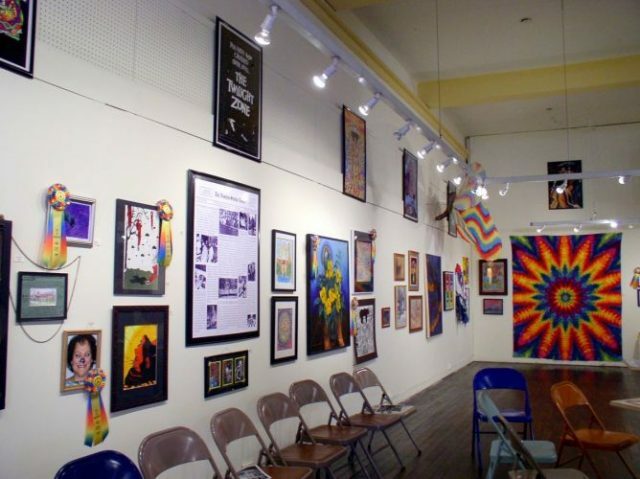 Different Directions, an art exhibit featuring the works of nine Slippery Rock University students, will be held from April 4 to April 10 at the Associated Artists of Butler County studios on 344 South Main Street, Buttler, PA 16003. In keeping with the exhibit’s name, the artworks displayed will be both two and three dimensional and created with a variety of media, including ceramics, drawing, fiber art, metal smithing, painting, photography, printmaking and sculpture. An opening reception will be from 7:00 to 9:00 p.m. Thursday. A Backpacks to Briefcases networking event will begin at 6 p.m. before the reception, in which SRU alumni who are career professionals are invited to The Art Center to talk with undergraduates about their field. The reception and art exhibit are free and open to the public. Gallery hours are 10:00 a.m. to 4:00 p.m. Wednesday through Friday, and noon to 4:00 p.m. Saturday.